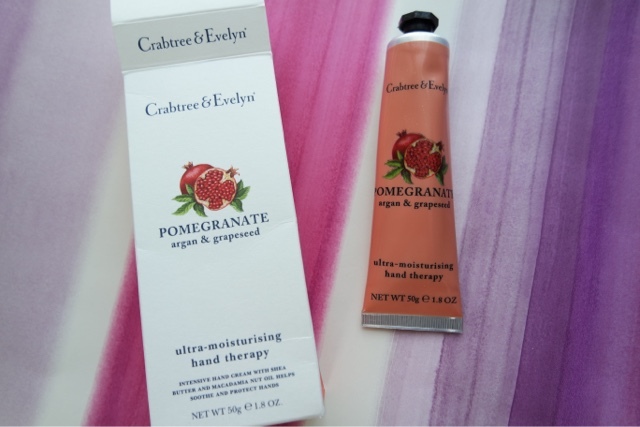 Trying to make sure my hands look perfect for my wedding day I have turned to the Crabtree & Evelyn pomegranate ultra moisturising hand therapy to try and sort them out! This hand cream now goes everywhere with me, as I know on the big day there will be lots of people wanting to look at my ring (and I will wan pictures too!) so I need to make sure my hands aren’t dry. As the box says, it is ULTRA moisturising and I definitely agree with this. It is great as it contains lots of things great for your skin: shea butter, argan oil and many other great ingredients. The size is perfect to carry around in your bag or leave next to your bed and the cream isn’t greasy at all. It smells lovely, it is hard to describe as it has a hint of citrus, so go and try it yourself!